Clear skies out east! 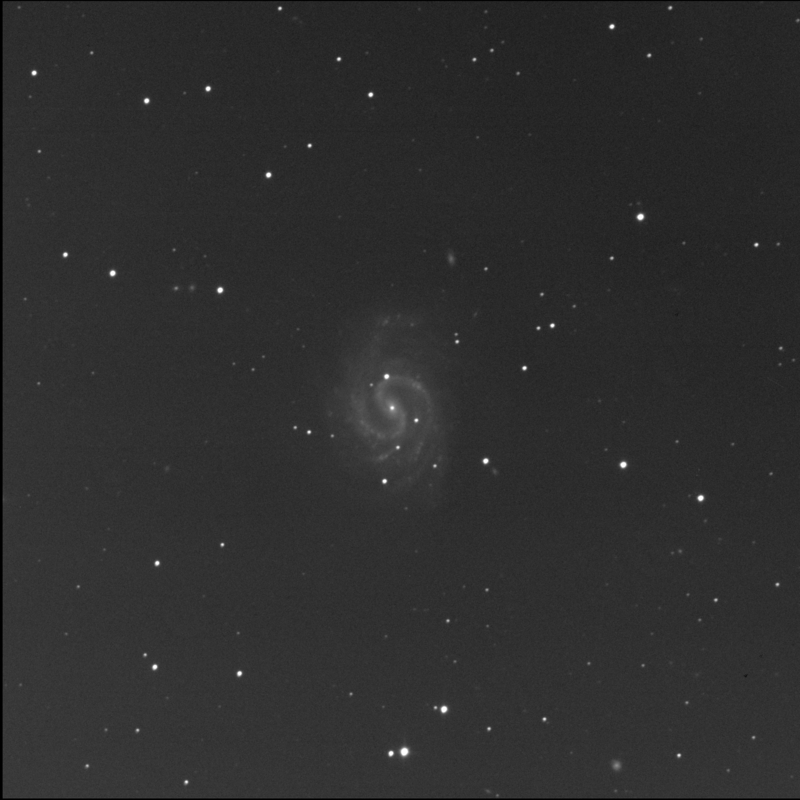 The Burke-Gaffney Observatory fired up and started imaging. I had RASC Finest NGC 4535 aka the Lost Galaxy in the hopper. 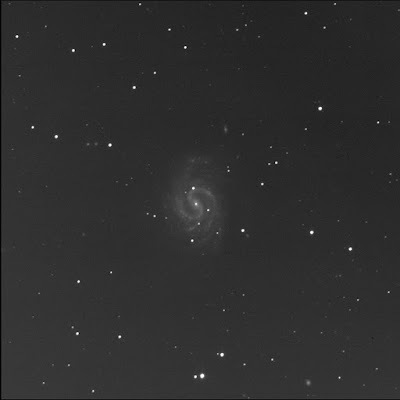 A fantastic face-on spiral galaxy in Virgo. The central part of the spiral is amazing. It looks like there are lots of star forming regions along the arms. LEDA 1343342 is the bright oval to the north, slightly west. LEDA 1342675 is a tiny little streak between 1343342 and the big galaxy, slightly further to the west. LEDA 1340665 is a round fuzz ball to the south-west, close to the big spiral. MCG 1-32-98 is much further away to the south-west, a large patch of light, not round. LEDA 1336640 is a very small thin fuzzy, perhaps an edge-on spiral, to the south-south-west, at the very bottom edge of the frame. LEDA 1342835 is to the north-east from the NGC galaxy, due east from the star GSC 00874-0721. East of 1342835 is another fuzzy but SkyTools 3 Professional does not identify it. There are two sets of stars, south of the Lost Galaxy, that look like doubles but are not IDed as such in ST3P, one pair with TYC 00874-0826 1 and one with TYC 00874-0667 1.